Nearly a year ago, Google debuted GPS measurements in Android. “Since then, we’ve made a lot of progress,” Steve Malkos, Google technical program manager, told GPS World. Frank van Diggelen and Mohammed Khider joined Malkos in hosting a half-day tutorial at ION GNSS+ 2016 in September that detailed how to access and use GPS measurements from Android devices. “We (Google) launched a new website around our efforts with GNSS Measurements that has the latest updates about all things GNSS, such as supported devices, collection tools and analysis tools,” Malkos said. 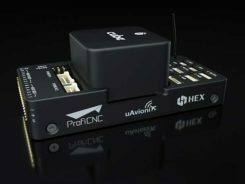 Also, many devices releasing this year will support multi-constellation raw GNSS measurements for the first time. The Phone section on Google’s website shows the latest phones that support multi-constellation measurements. “Google also has launched a device with this capability, one of the first in the world,” Malkos said. 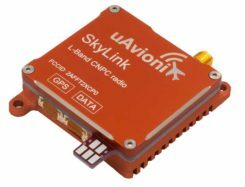 Android O, the next version of Android, will include new GNSS measurement features, such as true multi-constellation support with GNSS measurements (API supported constellations include GPS, SBAS, GLONASS, QZSS, BeiDou and Galileo), measurement support on multiple frequencies (including L1 and L5) and reported AGC (accumulated gain control) jamming detector. Google is hosting a full-day tutorial, “Raw GNSS Measurements from Android Phones,” at ION GNSS+ 2017, which will be held Sept. 25–29 in Portland, Oregon. The Android Software Stack. Learn how GNSS measurement data flows through the Android software stack. Google will also show attendees where to find the definitions of the different data structures and identify which ones are available at the Application layer. Updates to Android O. Preview the new GPS-related changes that are slated for Android O. Description of the available data. Review the data that is accessible in Android, the definitions of the different types of GNSS measurements, their physical meaning and how to use them for analysis and location. Using the data. Collect GNSS measurements outside and download the data from a provided test device to do some processing. Google will provide software tools that allow participants to log data from an Android Nougat or Android O device, view the raw measurements, and complete basic measurement analysis and position computation. Examples. Finally, Google will give those who attend specific examples of research projects and applications that users can develop with the tools and knowledge obtained in the class, such as how to build a GNSS data analysis app or how to build a crowd-sourced jammer detector. To help the Android Measurements team tailor this tutorial to your needs, fill out this form with additional items you’d like covered in the class.